"The Executive Committee of the Association, referred to above and hereinafter as “the Committee,” to whom the general management of the Association’s affairs shall be entrusted, shall consist of the Officers and not less than FIVE other members of the Association"
Looks like the removal of name plate for Church Road was the first inconvenience for local residents. Lets hope that the Demolition Contractors reinstate this as soon as possible to allow delivery vehicles a chance of finding Church Road. Planning Enforcement officers were not interested. Are all these advertising hoardings really necessary in a Conservation area ? Today a delivery lorry -tomorrow an ambulance? Here are two photographs I took earlier this afternoon as the latest ‘victim’ to be denied access to Oaks Close gets stuck. A bit stuck there on the left! Any better on the right? Well, no! It’s stuck there as well. A bit frustrating though, after loading up and bringing the stuff from Sutton. Wasting people’s time loading and trying to deliver undeliverable loads and keeping people waiting at the other end as they wait for supplies to continue work is one thing. But supposing the vehicle had been an ambulance; the delay while the vehicle is abandoned and paramedics have to make their way on foot could be the difference between someone’s life and death! Doesn’t Surrey County Council Care? Could not the Councillors and officers have worked out that if they introduced parking restrictions in neighbouring roads but did nothing in the road nearest the Station it would only exacerbate the already existing problems in that road? Couldn’t they? The cynics say they knew exactly what they were doing. Being piqued because not everyone was happy with their proposed simplistic ‘solution’, they will let us stew in our own juice so that we will willingly accept whatever they want to impose on us. My own feeling is that having given up on their proposed solution they simply could not be bothered and let the thing fall by default. In other words it was thoughtlessness and negligence. Mole Valley District Council, to its credit, is doing what it can about bin collection. 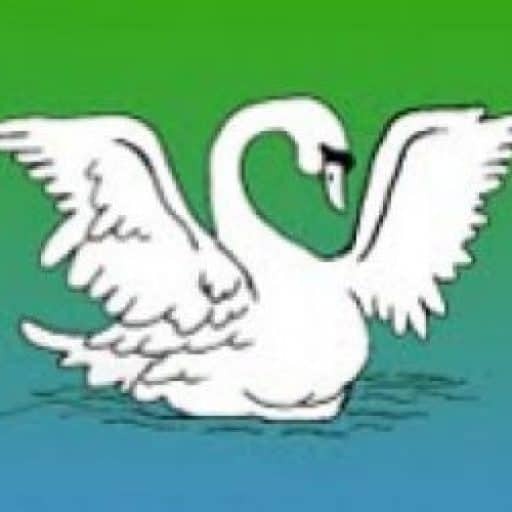 MVDC Environment Department are advising cars & vans on Tuesday afternoon that vehicles preventing bin collection on Wednesday will be ticketed by Surrey Police and possibly removed; and the Department is monitoring the situation on Wednesdays. Also if, despite these efforts, no bin lorry is able to get through on a Wednesday, they will send out a lorry on the following Saturday. This use of personnel on Tuesday afternoon & Wednesday morning must cost money and, of course, if a bin lorry has to be sent out on a Saturday even more expense will be involved – extra cost to MVDC thanks to the ineptness of SCC. We appreciate the efforts of our MVDC Ward Councillor, Bridget Lewis-Carr, in helping to find a solution to the bin problem. How about our SCC Councillor helping resolve the access problem? Kigston Road Latherhead. Nr Tesco Entrance. Various sites. Drainage problem areas. (iii) both carriageways of the M25 between the ‘off’ and ‘on’ slip roads at Junction 10.
nights (15 nights for each carriageway) over that period. direction to rejoin the anti-clockwise carriageway of the M25 via the ‘on1 slip road at Junction 9 (A243/A244). During the closures outlined at (d)(iii) above, traffic affected would be diverted via the ‘off’ slip roads at Junction 10 (A3 – Portsmouth Road) at Wisley Interchange and rejoin either the clockwise carriageway or the anti‑clockwise carriageway of the M25 via the ‘on’ slip roads at Junction 10 (A3) at Wisley Interchange. 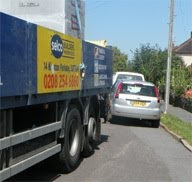 You may have read "Road ‘blocked by Commuters’" in the 4th August edition of the Leatherhead Advertiser. It tells how on some weeks bin lorries have been unable to access the road because of the insistence of commuters on parking on both sides of this narrow road. This is clearly a health hazard and a failing by Mole Valley District Council to ensure regular refuse collections. Because of this, one of the residents took it upon herself to produce a sign saying "ON WEDNESDAYS DUST CART UNABLE TO PROCEED. PLEASE DO NOT PARK THIS SIDE." For a few weeks this was largely successful; occasionally a lone car did ‘disobey’ but not so as to block the bin lorry. However, it was only a matter of time before commuters realized the notice had no legal status and disregarded it. This happened, in fact, on Wednesday, 3rd August, as you can see from the photograph taken that morning. Commuters have parked in full on both sides, despite the notice being out there from Tuesday evening onwards. Once again the bin lorry was denied access and bins were not emptied. When a resident, on the next day, asked cars not to park on one side he found most were sympathetic but one person said he was not prepared to look anywhere else, was not breaking the law and was not prepared to pay £4 to park in the Randalls Road car park. In other words, he could not care less whether bins were emptied or not, whether or not life was lost because ambulance and/or fire engine was denied access. How selfish can you get! Some, who are as old as I, will remember the days when causing an obstruction was an offence – the days when police did issue warning notices and, if necessary, prosecute when people parked in such a way as to cause an obstruction. In those days of common sense double yellow lines were not needed (and, indeed, not invented). Now it seems police are loath to act unless those yellow lines are there! We have been let down by Surrey County Council and not so far helped by Mole Valley District Council*. Will the police help us? Will they, as a resident has asked, put comes up one side of the close on Wednesdays to allow refuse to be collected (that would not, of course, help in case of fire or other emergency)? Will they? Did you read what the Surrey County Council spokesman said? They had proposed a one hour restriction in the morning. Sure, that would get ride of the commuters. But what about those residents who did not have usable drives – who had to park on the road? What were they supposed to do? 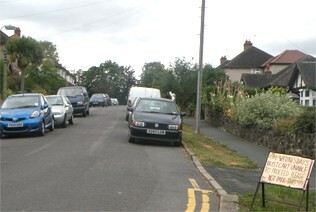 When residents’ only parking was suggested, the reply was that this could not be considered until after the trial in Minchin Close. That just beggars belief! Are not Surrey County Council aware that residents’ only parking has been long established in many places for some time now? I am told that residents’ only parking even exists in some other parts of Surrey. Yet in Leatherhead, it seems, it cannot be done until it is seen if it works in Minchin Close. It seems to me that when SCC deals with Leatherhead all logic is abandoned. The spokesman also mentions an "access only" proposal. He says, "this is not appropriate for this type of road", despite the fact that the original suggestion came from a SCC source. The spokesman also adds that the police informed the Council it was unenforceable. Why? From searches I’ve made on the Internet, it does appear that "access only" is not entirely clear cut and police do not seem to like it. But I discovered one Lib Dem Council had the courage to implement this on a trial basis for a road that, like ours, suffered parking problems. Why could not SCC at least have implemented this for a trial period? Why could not Oaks Close have been a trial in a similar way to Minchin Close? At the very least, they should have restricted parking to one side only in the narrow part between the bend before numbers 1 & 2 and the turning circle half-way up the close. Their failure to do this is incomprehensible. Now, of course, the plea will be that there is no money. But, if as a result of this failure, life is lost because a fire engine or ambulance cannot access the top part of the close, we know the money would be found! Why must we wait for this? Why do residents have to continue to put up with uncollected refuse and the spread of flies and maggots? 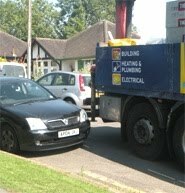 * I have, since first posting this, been told by Cllr Bridget Lewis-Carr, one of our MVDC councillors for North Leatherhead, she has had a promise that MVDC will ensure that the road is kept clear to allow bin lorries through on Wednesdays. I am very grateful to Cllr Lewis-Carr for her efforts and await to see how things work out next Wednesday.